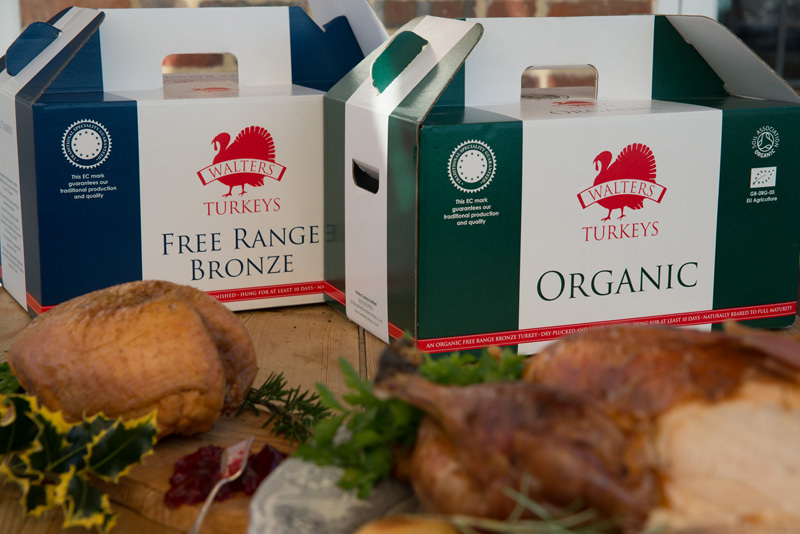 Walters turkeys are a family run farm on the Berkshire Downs and they produce one of the very best turkeys in the UK; Walters Farm are members of the ‘Traditional farm fresh turkey association’ and the soil association. Our customers are always impressed by the flavour, texture and quality of our excellent turkeys. So whether you want one of our Bird in a bird (BIB’s), a boned & rolled breast, a crown or a traditional turkey you can be sure the quality is unquestionable and your family & friends will be served the very best UK farming has to offer.